Applying for business credit and charge cards is a great way to earn more miles and points than you already do, but many people don’t apply for business cards because they incorrectly believe they don’t qualify. Do you qualify for a business card? Your business can be a sole proprietorship, meaning only you work on the business. That’s how MileValue started, just Scott, and he has received several business cards for MileValue. I also have received multiple business cards for various side-hustles that only involve myself. You can use your social security number in lieu of an Employee Identification Number (EIN) on any business card application with no issue. Myth #4: A business must have it’s own name. You can open a business credit card by filling in your own name in the business name field of an application. I just did this myself when opening a Marriott Rewards Premier Business Credit Card. Myth #5: A business must have it’s own location. Your own personal address will suffice. Myth #6: Selecting “Other” when classifying the type of company you’re running will get your application denied. Absolutely not! If your business isn’t correctly classified by one of the drop-down menu options, then feel free to choose “Other”. It’s better to be truthful than to choose a category for the sake of being specific. If you are currently involved in one of these activities or something similar, you may find a business card helpful for running your nascent business. After all, business cards are a convenient way to track all the expenses of the business in one place, making it easy to compare that to your revenues to see whether the business is profitable. Getting a Business Card is as easy as 1-2-3. Select the right business card for you. Apply for the business card online. Call Chase to answer a few questions. 1. Select the right business card for you. The big things to consider are an appealing sign up bonus, good ongoing rewards for spending (think: category bonuses), and the ease of using the rewards. 2. Apply for the business card. Fill out the form about your business truthfully. 3. Call the issuing bank to answer a few questions. As soon as I fill out the application, I call the banks’ business reconsideration lines if I’m not automatically approved*. All it takes is a five-minute call, and I’m in business. At this point, the agent will find the application and ask you a few questions about your business relating to what it is; how long you’ve run it; and what its revenues, profits, and costs are. Answer these questions truthfully and politely, and you should have a decision within a few minutes. If the rep asks why you want the card, you should answer honestly about your reasons, which probably have to do with tracking expenses and earning rewards for business activities. If you have a relationship with the bank, you may want to highlight it on the call. Having a checking account or mortgage with the bank may make them more likely to approve you since they want to continue their relationship with you (although neither is absolutely necessary). If you don’t think the call is going well, you can always try politely hanging up and calling back. I’ve never had to do that, but nothing limits you to one call to the reconsideration line. *The one exception to always making reconsideration calls is when you aren’t automatically approved for a cards issued by Chase. I say this because most people report higher approval rates by just waiting it out when they receive pending responses for Chase applications. If you have opened five credit cards from any issuing bank in the last 24 months, Chase will not approve you for their credit cards. This is what people mean when they reference the Chase 5/24 rule. Luckily, business cards are exception to this rule–so if you’re trying to fly under the 5/24 limit, you can apply for most business cards without affecting your total. Why’s that? Business credit cards from the majority of issuing banks are not considered in your Chase 5/24 count because they do not show up as new accounts on your personal credit report. The only banks’ business cards that do show up on your personal credit card are those issued by Barclay’s and Capital One. There are even enough data points out there now that I can pretty confidently say that Chase doesn’t even count their own business cards toward your 5/24 total. …and 2 Membership Rewards per dollar spent on the four remaining categories. Starwood Preferred Guest Business Credit Card from American Express: 25k SPG Starpoints for spending $5k in three months. Great choice for non-bonused spending because points are so valuable (we value them at 2.5 cents each, mostly because they transfer to TONS of airline programs). Many people have a small business even if it’s not their sole source of income. If you’d like a credit card to help manage that business and earn more miles and points, you may want to apply for business cards. You don’t need to be an incorporated business pulling in tons of money. You don’t need your own office anywhere and you certainly don’t need employees. Applying for a business card is a simple, three-step process. 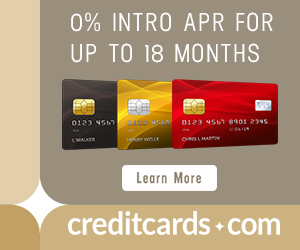 Pick the right card, apply for that card online, and call the bank to seal the deal. Will having a business card flag the IRS to expect you to file taxes for a business? And maybe have a higher chance of being audited? I have a small biz, with minimal expenses and can’t reach $5K in spend. What do you do? Which card are speaking of? Chase Ink Preferred – Biz card. I put whatever normal spending on business credit cards and have never had an issue earning the bonus points. Never had points revoked. Had 1 or 2 Inks for a long time . Pay ur Taxes just like I do and don’t worry .I’m a SP spend ur min anyway u what BUT spend it .They don’t know anything but what u time them my Fico is 815 my BALANCES are 0 on my statements ..If u have a loan with Chase or want one make sure everything lines up so no trouble .I had a Rad Blu Bus. card which I don’t now . What they did is u need a TAX ID. NO. ( no need 4 me) to have a Bus. Card so I closed it . Bus. cards are only a big deal if u make it one had 5 now 2 . For the Fun of it I just Got the 80K Bus P card .I tried yesterday about 5x on Mv LINKs but it didn’t work .Then I tried 5x more after logging into my Chase account didn’t work . Then I CALLED (get it didn’t ask the Blog) then she stated u can’t apply by phone just online ???? So I logged in to Chase account again and we went thur the the apply again 11 x so far and it worked .THANKed the Very NICE(Fr.) Lady then got the Approve while on the phone . Money Can Be Fun !! Why did it not work for you the first time? Are you over 5/24? Chase Bus. Preferred card 80K points. The App. didn’t work the 11x I downloaded it.. BUT worked on the 12x..while talking to Chase..
Keep trying like I did if it doesn’t work !!! Just Booked MDW>LAS 13K points on 28th ..3 nites..Hope the Pool is Full. If u follow what they TELL u ,u will do just fine BUT it takes Time not 5 minutes . NUTTHING to do with Money just common Sense ..
Can you get one right before starting a business? Let’s say I’m about to purchase a domain, etc. for a new blog I want to start up. Without actually having any business yet, but with the intention of using a biz card to keep track of start up costs, how would that go with the credit card company approving your application? @Kory, I did exactly what you’re talking about when I applied for the Chase Ink Bold in my case. I got a call from Chase to discuss my plans for the business, and they were satisfied I had a legitimate idea. They may want to know you have a valid idea and won’t run up lots of debt you won’t be able to pay off. I would say be ready with a thought out plan for what you will do in your blog business and if your credit is good, you’ll have a solid shot at being approved. Today when organizing trips for groups of friends I pay with my credit card (5x MR points) and accept checks from them. They aren’t into miles and points. I decided to make this into a travel business, registered with the state as an LLC, and set up a checking account at my local bank. There’s a small registration fee and a small annual fee, but it provides some liability protections as well as being a legitimate small business. No taxes, since the money goes in and out in the same amounts. I’ve never been denied a business credit card using the LLC information, though I don’t apply for them in quantity, holding just a couple at a time. I had the Chase Bold for like 3 years now LOVE IT Inker Forever but just got the Chase 80K P card. By reading a Scott post IF u pay ur C phone bill with it u get $500 ins ..I flooded my 2 c’s last month would’ve been nice to have. No need 2 have both will cancel the Bold ($95) and switch billing to the 80K new point card .. I know my Ink credit line is separate from my regular (aggregate) Chase credit line. Business cards are included on the 5/24 rule with Chase. I confirmed today. In which sense do you mean? As in counting towards your 5/24 total, or that the 5/24 rule affects your eligibility for Chase business cards? I have a question not related to this subject. I was planning to fly from Boston to Chicago and back in mid-May and was thinking of using United miles since Chicago is United’s hub and they have flights almost every hour. I was very surprised to see that United requires 32.5K miles each way even for the most inconvenient flights that I could buy at Kayak for $56 one-way. United would also charge me $75 extra fee. But if I buy the same ticket for cash on Kayak there is no $75 fee even though the flight is only one week away. What is going on? I used 80K United miles to fly in February from Boston to New Zealand with a free stop over in Sydney on a way back and now United wants 65K miles to fly me to Chicago (plus $75+$5.60+$75+$5.60 in fees). My round trip ticket cost me less than that and I didn’t have to use any miles. Could you please comment? 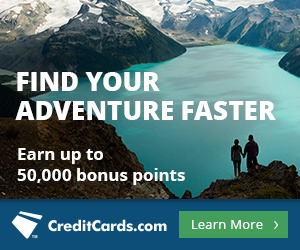 I was targeted for the Chase Explorer Biz card offer with 75K miles. I applied today. I called the number to ask if they needed more info and was told that I needed to provide either a Fictitious Name Statement OR Sales Tax permit and submit it as proof of my PO Box address. I am a blogger. I have neither of those documents. Any advice for me? Thanks!